"I am not sure if my grandchild is currently safe at home. What can I do to help?" Everybody needs to be looking out for the safety and well being of children. Grandparents play an important role in helping keep kids safe in the home. If you are concerned about children being safe from abuse in the home we can offer information about the services available to the children, parents and yourselves. 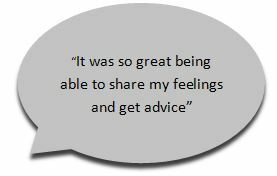 Whether it is Counselling, Social Work or Parenting Programmes there are a range of ways in which we can help. Contact us to talk about your concerns and how we can help.